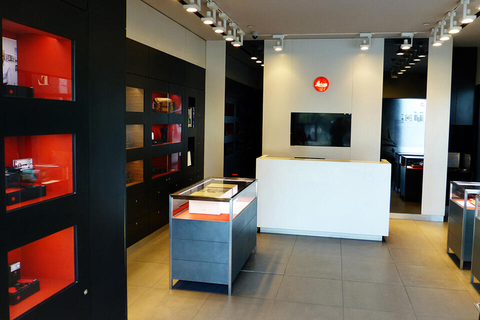 The Leica Store Oriental Plaza is located in the nucleus of Beijing, with ingenious decorations inside the store. A full range of Leica cameras and telescopes can be tried or tested freely by visitors before making a purchase. Oriental Plaza is located in Wangfujing area, one of the largest shopping complexes in Asia, and certainly an ideal place for shopping, dining and entertainment. Furthermore, Oriental Plaza is adjacent to Tiananmen Square, which is the major landmark of Beijing and also the fourth largest city square in the world. Here is the right place to satisfy your shopping and shooting desires all at once.